On NetGalley Insights, we highlight the successes of NetGalley publishers and authors, and share some of their strategies. Today we’re talking to Rebecca Rosenberg, an independent author and member of the Independent Book Publishers Association (IBPA). 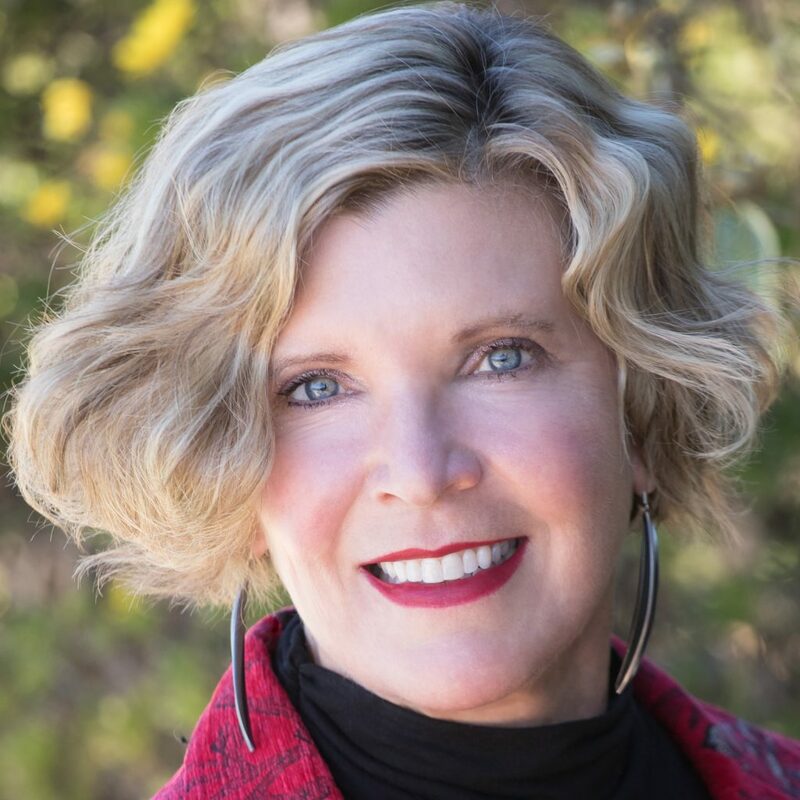 She takes advantage of the IBPA’s NetGalley program, which manages her title on NetGalley on her behalf, giving her even more time to think strategically about her ongoing promotional efforts. What was your experience like working with the IBPA to list your title on NetGalley? I enjoyed working with the IBPA to list my title on NetGalley and I appreciated their help and guidance. Their response time was great for sending me monthly reports, submitting promotions, forwarding reviews and posting featured reviews. When I was worried I was not getting enough reviews on Gold Digger, they gave me knowledgeable input that Gold Digger was doing quite well! It is very helpful that IBPA handles all of the technical aspects of posting my book and making updates to the page so that I don’t have to do it myself. I feel that having my book listed under the IBPA umbrella offers prestige for my book. Tell us why listing the book on NetGalley through the IBPA program was the right choice for you. I learned from my first novel, The Secret Life of Mrs. London, that NetGalley is the professional hub of bloggers, librarians, Goodreads, Bookbub and Amazon reviewers, and avid readers who love to share their reviews. The more buzz the better when launching a novel, and NetGalley makes that possible. We encourage professional reviewers to use the NetGalley link as well as bloggers, Facebook group moderators, Goodreads and Bookbub reviewers. In my opinion, if a reviewer gets the book from NetGalley, they are readers who take the reviewing experience seriously. They usually share the review in at least five places: NetGalley, Goodreads, Bookbub, Amazon, Facebook Groups, Twitter, Instagram, and their own blogs. NetGalley reviewers are connected and powerful influencers. I often use reviews in my marketing, and I feel that NetGalley reviewers carry more credibility. You ran several marketing campaigns with NetGalley – a Category Spotlight in February and a Featured Title placement in March. Tell us about your strategy and unique goals around these promotions. First of all, I took a six-month run on NetGalley (instead of three-months) before my launch date in order to reach as many reviewers as possible. When I saw the great marketing opportunities NetGalley offered, it made sense to support my listing with the Category Spotlight and Featured Title placement early on to get attention. I am hoping to reach different segments of readers in different months with different promotions. There are many marketing opportunities available through NetGalley, and (if I had the budget) I would use them all throughout the six-month listing! I ran a Category Spotlight in the “Historical Fiction” category, in February, and Featured Placement for “Women’s Fiction” in March and again in May. I did another Featured Placement for “Summer Reads” in June, and am waiting to hear if Gold Digger will be included in an upcoming Cover Love post. How have you been leveraging your NetGalley listing and reviews to increase discoverability? To expand the reach of my NetGalley listing, I posted the NetGalley link to my book on my Facebook page, Facebook reading groups, Bookbub, LinkedIn, Goodreads and to my mailing list. I’ve also featured some great NetGalley reviews for Gold Digger on Facebook, Instagram, in my newsletter, and with my Review Crew. I use these reviews in my newsletters and social media to whet readers’ interest and add credibility for my books. We take 5-star reviews and make colorful, eye catching posts. We love the blog on your website. You’ve been posting lots of great supplementary information about Baby Doe Tabor. Tell us a bit more about how your blog fits into your strategy as an author. My blog serves to interest readers in my books, whether they’ve read my books or not. As with The Secret Life of Mrs. London, I like to use my two decades of research by creating background stories and character sketches and trying to interest readers in different aspects of the story. I share my blog across all platforms, from Facebook, Amazon, Goodreads, and newsletters, and guest hosting other blogs. What are some tips you have for other independent authors? Get involved with readers and other authors of your genre by joining Facebook Reader groups, Goodreads groups, Bookbub, Instagram, your creating own blog and newsletters. My specific Facebook groups would not work for everyone–authors need to search Facebook groups for those that discuss books in their genre. It is important to read the group rules and observe them. For example, a group may only allow promotion on certain days. Become a contributing member first and contribute to the group as a reader of other books, before posting about your own book. Review other books similar to yours and become an information source for great books. Bio: California native Rebecca Rosenberg lives on a lavender farm with her family in Sonoma, the Valley of the Moon, where she and her husband founded the largest lavender product company in America, Sonoma Lavender. Rosenberg is a graduate of the Stanford Writing Certificate Program. 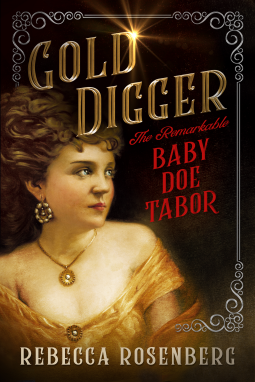 Her upcoming novel is Gold Digger, The Remarkable Baby Doe Tabor. Other works include: The Secret Life of Mrs. London, her debut novel and her non-fiction, Lavender Fields of America. Rebecca Rosenberg’s next novel is Champagne Widows, the story behind Veuve Clicquot and Lily Bollinger. Find and follow Rebecca on her website, Amazon, Bookbub, Facebook, and Goodreads. IBPA’s MISSION is to lead and serve the independent publishing community through advocacy, education, and tools for success. Learn more about how IBPA can can meet your specific needs here.